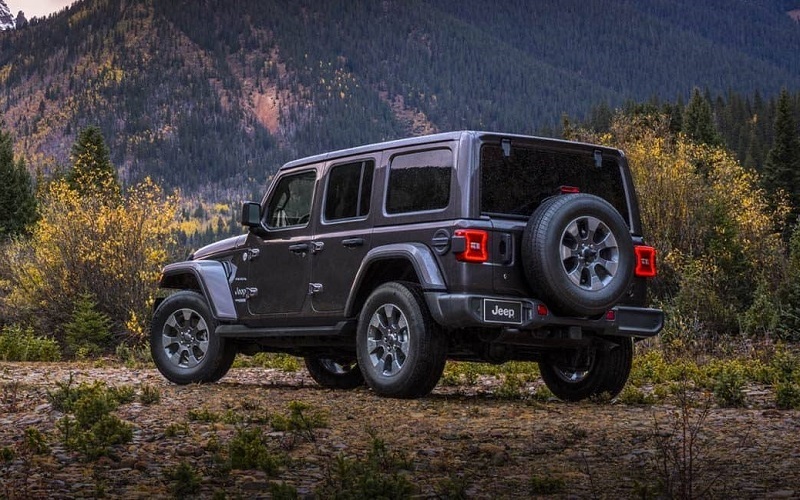 The 2019 Jeep Wrangler combines style with ruggedness for a vehicle that can suit almost anyone’s needs. 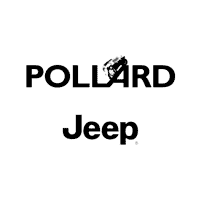 Proudly serving Boulder Denver Longmont Thornton, we here at Pollard Jeep know how important being able to go off-road is. Thanks to the different 2019 Jeep Wrangler trim levels, we believe that there is a version of this vehicle for everyone. Coming in both 2-door and 4-door versions, the Wrangler is a rare SUV that is actually as tough as it looks. Here at Pollard Jeep in Boulder, we love the fact that the new Wrangler stays true to its heritage. The iconic seven-slot grille is still there, along with the round headlamps and full-size spare tire. Each of the 2019 Jeep Wrangler trim levels comes equipped with the perfect wheels and fenders to get the most out of your ride. From our years of serving Boulder Denver Longmont Thornton, we know how adventurous people are here. That’s why we are excited about the newly designed fold-down windshield that only requires removing 4 bolts. Need more fresh air? There is also an available Sky One-Touch™ Power Top that can fully open the roof in just 20 seconds. Being Jeeps, every version of the Wrangler in 2019 is fully capable of going off-road. They all feature Transfer Case Skid Plate Shields as well as Fuel Tank Skid Plate Shields. Drivers of the upper trims can also add a LED lighting group that includes LED Daytime Running Accent Lamps, Tail Lamps, Reflector Headlamps, and front Fog lamps. 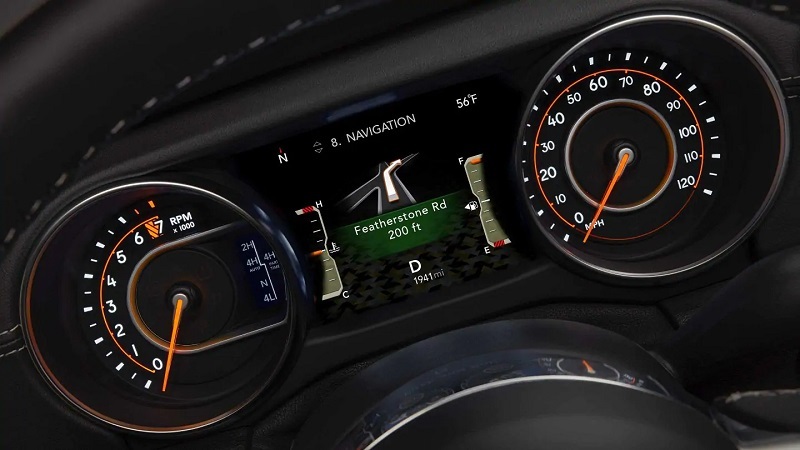 Thanks to the available Uconnect® 4C NAV featuring an 8.4-inch intuitive touchscreen, drivers of the 2019 Jeep Wrangler can take control of their ride. This feature offers Apple CarPlay, Android Auto, Navigation, Bluetooth, the SiriusXM® All Access Package, and fully integrated voice command. If you want to rock out to your own tunes, every trim has an audio jack input for mobile devices standard. You can enjoy that music on the 8-speaker system that also comes standard. In order to keep your devices charged, the Wrangler features two 12-V auxiliary power outlets, with one located conveniently in the rear. To keep your focus firmly on the road, there is an available 7-inch Driver Information Digital Cluster Display. This gives you information on your speed, which safety features are active, your navigation, and much more. 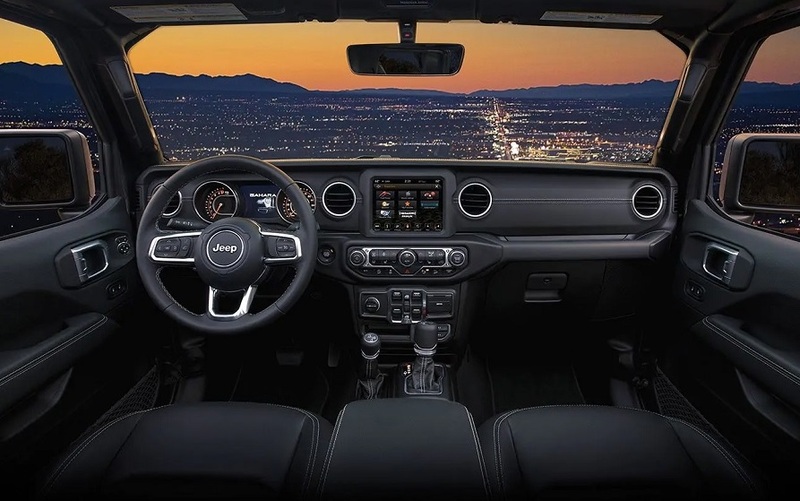 The staff here at Pollard Jeep in Boulder love the fact that a leather-wrapped steering wheel comes on all trims of the 2019 Wrangler. Coming standard on the 2019 Jeep Wrangler is a 3.6L Pentastar® V6 engine. This provides drivers with up to 285 horsepower and 260 pound-feet of torque. An available option is the 2.0L Direct-Injection Turbo engine. With this engine, drivers can expect 270 horsepower and 71 pound-feet of torque. Both engines are capable of towing up to 3,500 pounds. A 6-speed manual transmission is standard, while an 8-speed automatic transmission is an available option. Most trim levels come with a CommandTrac Part Time 4WD System, while the Rubicon trim features a 4:1 Rock-Trac HD Part Time 4WD System. The Sport Trim features a 180 amp alternator, while the Sahara, Rubicon, and MOAB trims boast a 220 amp alternator. A 240 amp alternator is available on all versions of the 2019 Wrangler. One thing you learn from serving Boulder Denver Longmont Thornton is how important safety features are. Standard safety features include Electronic Roll Mitigation, Electronic Stability Control, Traction Control, Hydraulic Assist Brake Booster, Trailer Sway Damping, and Hill Start Assist. Some of the more technologically advanced standard safety features include the ParkView Rear Back-Up Camera and the Tire Pressure Monitoring Display. Upper trims include Remote Keyless Entry standard and have the option of Remote Proximity Keyless Entry and Remote-Start System. Drivers of the MOAB trim also have the option of adding Advanced Brake Assist. When it comes to 2019 Jeep Wrangler trim levels, there are four. The base trim level is called the Sport. It comes with a Uconnect® 3 with 5-Inch Display and 17-Inch x 7.5-Inch Tech Silver Aluminum Wheels. Drivers also can choose the Sahara, Rubicon, or MOAB trim levels. Each of these upper trims have unique features. If you would like to learn more about the 2019 Wrangler and the trim options available, come down and visit us today at Pollard Jeep in Boulder. We would be happy to answer questions and look forward to helping you find your next vehicle.